Samsung Galaxy note Edge is a powerful note designed by Samsung in catering the need and demand of niche in the market. The note has border less Aesthetics and a fluidic experience via expanded space. It is a revolutionary design which provides a new angle on design. It provides users with a smooth and effective way to access information fast and efficient. The device’s unique curved Edge screen provides quick access to frequently used apps, alerts and device functionality in just a swipe of thumb, even when the cover is closed. You can receive notifications directly on the screen while watching videos without any interrupt. At present, Samsung Galaxy Note Edge Price is in the range of Rs 62,500 to Rs 68,399. The operating system provides an interface between the device and user, through which a person interacts. The Note Edge comes with an Android KitKat 4.4 operating system. It comes with a 2.7GHz quad-core Qualcomm Snapdragon 805 processor.This allows you to do multitasking, play games and run multiple applications at a time. It also provides a faster switching over applications. It comes with 3GB RAM and 32 GB expandable internal memory. The powerful 3GB RAM helps you to play high quality games and watch HD videos and movies. Generally, 1GB is sufficient to play and make the processing smooth but with a 3GB you will experience what you haven’t in this range. It offers crystal clear images beyond the limit for your eyes. It has got 5.6” Quad HD plus Super AMOLED display that drives you to feel the vivid color as if you are looking from the naked eye. The high resolution offers a tremendous viewing experience which truly optimized e-reading and web browsing. The Note edge comes with a 3.7MP front-facing F1.9 lens camera, and a 16MP Smart OIS back camera provides you the best results for every moment of your life even in dark surroundings. After taking the snapshot you will find brighter and clear pictures from both front and rear cameras. An ultimate experience of camera. The stylus with improved touch gives you the feel of a pen. 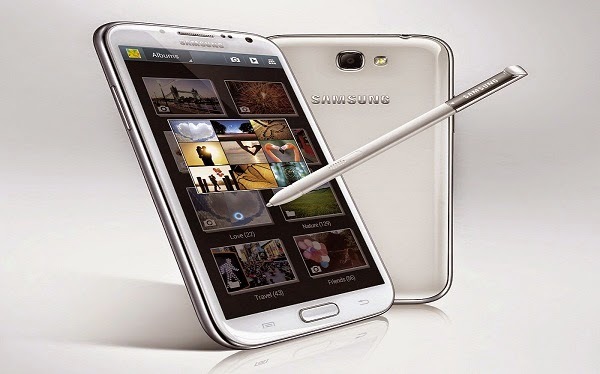 S pen offers an ultimate experience of digital handwriting through its enhanced pressure sensitivity. You can enrich your writing through more precise expressions. It comes with a long lasting 300mAh battery that extends the life of the phone, performance and efficiency making it highly effective. You can now make your own notes by editing, creating, deleting, changing colours and putting additional memos with the help of Styles pen easily. Free flowing and natural multitasking can be achieved by managing multiple applications once on a single screen using simple gestures. Though Samsung Galaxy Note Edge Price fluctuates every now and then but it remains a niche in the market.